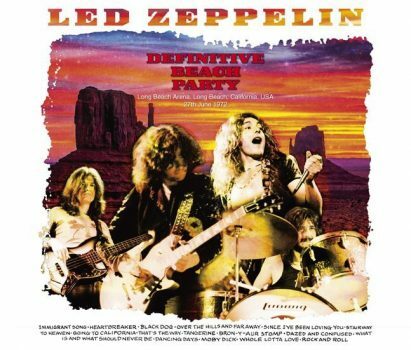 Ahh…Led Zeppelin’s summer tour of 1972, a tour that is an easy fan favorite for good reason. 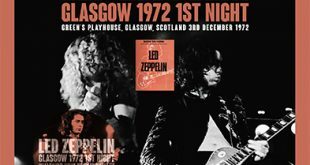 The band were playing incredibly well, the term tight but loose is used over and over in regards to Zeppelin’s onstage playing and many a tour falls into that category. For me the playing on this tour goes hand in hand with the studio recording from this period, Houses Of The Holy. On a nice summer day there are a few things I always enjoy, a nice cold beverage, alcohol preferably, Houses Of The Holy and Brothers and Sisters by The Allman Brothers Band, the music just hits the spot on those hot n’ lazy days. Since the material from Houses Of The Holy was written and recorded in 1972, the new music would be previewed during this concerts. Fortunately there are many recordings from Zeppelin’s 72 summer tour, only real draw back is that several killer shows suffer from below average recordings and require ones bootlegs ears, the recording from the near end of the tour is one of those. The concert in Long Beach is just a bit shorter than a couple days’ prior epic concert in Los Angeles but certainly more adventurous than San Bernardino a couple days prior to LA, yet both of those nights have really great recordings. The Long Beach show has four audience sources that circulate in varying degrees of completeness and sound quality, all four never rise above average. 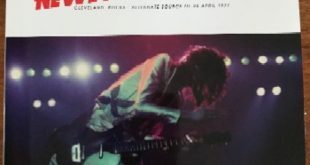 There is also a well know soundboard fragment, something that gave fans a taste for what eventually would be officially released as How The West Was Won, an amalgamation of the best of both the Los Angeles and Long Beach concerts. While the San Bernardino and LA concerts have been bootlegged to death, much to do with the sound quality, the Long Beach concert was not well represented, for years Wild Beach Party (Led Note LCD-1501) was the only title one could easily get. In late 2011, Godfather Records released Welcome Back – How The West Was Won Tapes Revisted (The Godfatherbox G.R.Box 08), an 8 disc comprehensive box set of all three Californian concerts. Their work on the Long Beach concert was excellent, using parts of all four audience sources to present the most complete version of the concert to date. Other labels have taken a swing at it, Empress Valley has a few times as Burn That Candle (EVSD-220) and Wendy a couple times, How I Won The West (WECD-197/198/199) in 2011, then again in 2017. The Godfather was all I needed, but when I saw Graf Zeppelin was releasing it, I was intrigued as I liked their mastering for the Los Angeles concert Burn Like A Candle (Graf Zeppelin LZSC-011A/B/C). 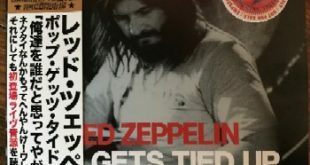 For this new release Graf Zeppelin uses a similar mix of sources as Godfather, even adding the short three song soundboard fragment at the end of the third disc. To go one further, Graf has added a fourth disc where they present the same portion of the concert found on disc two but present a different source mix, incorporating the soundboard recording and adding the audience recordings to “complete” it. The mastering by Graf Zeppelin is excellent, the transition from source to source is smooth and seamless making for a wonderful listening experience. The deep drone intro, no big deal, is much better handled, Godfather boosted the level up and in doing such added to the distortion, Graf leaves it alone and just sounds better and for the music Graf sounds brighter and clearer, with just better all around frequencies. Depending on where you view your sources, this title uses the two best ones for as much as possible. Slightly distant yet clear with only a small bit of tape hiss and very little distortion. The others sources are fair to good, more distant and muffled but listenable, you will also see that the Graf is a bit longer, don’t be fooled just a bit more audience noise. The soundboard portion of the concert is superb, yet frustratingly short. I can remember marveling at What Is And What Should Never Be and Dancing Days when I first bought Studio Daze (Scorpio S.D. 64-10-171) sometime in the very early nineties (Jennings Farm Blues also! what a revelation those two CD’s were). I pulled out my old Scorpio title and it holds up well. To me the Godfather sound has too much treble, the Graf is superior to them all, crisp clean with a nice fat bottom end, really nice. The fourth disc is interesting, taking a move from Empress Valley, Graf using an audience / soundboard mix as a bonus fourth disc, while I am a fan of providing the best and most complete sources, to mix an average audience recording (s) with a superb soundboard just never really does it for me. Sure if you are filling in a small gap for completeness’ sake, go ahead. I prefer the audience source and soundboard fragments in this case separate, my review, my rules! That being said the transition from audience to soundboard is well done and not as bad on the ears as I would expect. This concert is every bit on par with the more famous Los Angeles concert from two days prior. The band’s playing at times surpasses it, Page used Immigrant Song, Since I’ve Been Loving You, Stairway To Heaven, Going To California, Bron-Y-Aur Stomp, Dancing Days, What Is, and Rock And Roll as well as bits and pieces for the remainder of the How The West Was Won, cementing Long Beach’s concert as one of THE best of the summer (again that’s saying a lot as Seattle and New York are excellent as well…but mediocre recordings). I actually like the Long Beach Dazed and Confused better, could be the recordings but to me Page sounds more inspired and inventive. The fast section after the bow solo is just so good, Bonham’s timing is perfection, he is in the driver’s seat and Page responds in spades. 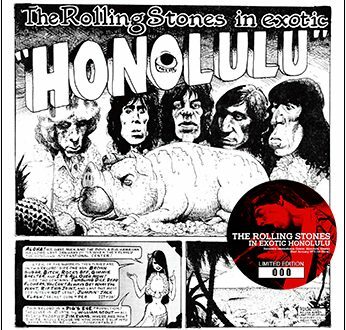 The song features bits of Hendrix’s Third Stone From The Sun, Walters Walk and The Crunge. Even in the average recordings, Jones’ bass is discernible. 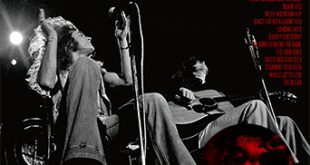 I love the summer 72 acoustic sets, simple versions of California, That’s The Way, and my favorite Tangerine always bring an intimate vibe, sometimes a bit of fireworks as well. The Whole Lotta Love Medley is sublime, while not as crazy as LA, they certainly create a festive atmosphere with a killer Blueberry Hill. I love as Plant sings “One night I Was laying down” and Page plays this wah wah wah bit that is so funny, and brilliant! The interplay between the band must have had them in complete smiles, I know I am. For me the WLL medleys peaked in 72, while they rebound during the European 73 concerts, the frenzied state the band puts the audience in is unparalleled in Zeppelin history. The packaging is typical for Graf Zeppelin, taking a Page from both Godfather and Wendy, they do their own take on the official How The West Was Won cover art. The CD’s have pictures on them and the set is house in a fat boy jewel case. Sound is best I have heard, mastering is excellent, Graf Zeppelin has always done right on the titles I have, and this does not disappoint. The packaging is OK, nothing fancy and this keeps the price down, this four CD set was very reasonably priced. This is a great way to get this concert, although for those who may have the Godfather and or Wendy title, I hope this review helps with the decision on if you need it or not. Thanks once again for a fantastic review, Relayer67. The line ‘My review, my rules’ lit up my face but there’s much more to be taken from this write-up. Thank you!